Bethel Park, PA Violin Lessons Near Me | Fun Classes. Top Tutors. Check out some of our most popular teachers near Bethel Park, PA including Pittsburgh, Murrysville, Wexford, Coraopolis and Sewickley. I've taught ages 3 to 35, beginner to undergraduate collegiate level. I can develop your left hand, bow technique, and musicality to the point that you will sound better when you leave a lesson than when you arrive every single time. I will inspire a love for the instrument that will carry through the week with you. I'm a violinist and pianist from West Friendship, Maryland with twenty years of experience on each instrument and ten years experience teaching. I have a Bachelor's Degree in Music Education from the University of Louisville. I believe in using positive feedback to develop a student's passion for playing music. Beginner to advanced, I can make you a better musician. Gabrielle has a really fun personality, which only helps to compliment her piano skill. Not only that, but she is very flexible on scheduling, and understands that things can come up from time to time for either the student or the teacher. 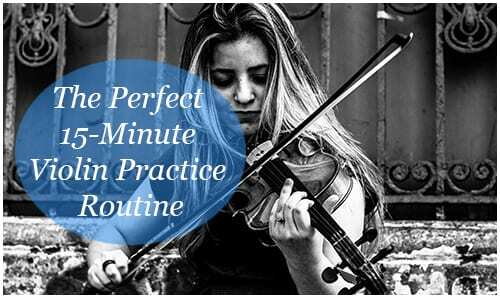 With this expectation in mind, her lessons really make the most of the 30 minutes allotted, and her skills show as she helps you step through each measure. I've taken piano lessons before, quite some time ago, and Gabrielle was quickly able to adapt the lesson to what I already knew versus what I had to re-learn or learn for the first time. Definitely recommend! Since ive never done this before i dont have much to go off of, but it was still a great experience that was easy to get started. I would have described how 'passionate' Gabbi is about violin but unfortunately never had that opportunity. I had scheduled the class 10 days in advance and on the day of the class Gabbi decided to shoot an email couple hours before saying she can't make it. A dollar is minute is a very decent compensation which I don't make as an engineer with 7 years of college education. But unfortunately that didn't inspire enough professionalism in Gabbi. Maybe she reserves her professionalism for few people and not for everyone. Learn to play violin with poise and fun! With proper technique and practice, one can thoroughly enjoy the classics, country, pop, broadway music, and whatever else you like to play! I've been teaching violin for over 25 years and my students have gone on to play in youth orchestras, attend PMEA and ASTA events or go to college as a music major. Within the first few lessons, you'll be able to improve your playing skills and as time goes on you'll be able to play at a more advanced level. I specialize in Traditional Classical violin, typically use Essential Elements 2000, Samuel Applebaum methods, Suzuki methods and traditional scales and etude books. I have the following tools available for your lessons: Metronome, Tuner, rosin and my music library. I love working with students of all ages and experience levels and I can't wait to meet you! hrasing, bowing, positions and and shares her passion for music. In addition, she will provide instruction on music theory and music history as part of instrumental lessons as it applies. Susanna received her training at State University of New York at Purchase in 1991, where she received a Bachelors of Fine Arts in Music. In addition, she attended the University of Denver, Lamont School of Music in 2000 where she received a Masters in Music. She has studied with Sol Grietzer, Karen Dreyfus and Basil Vendryes. In addition, she received her Music Education K-12 Certification in 1995 from Carnegie Mellon University. As an expert in her field, Susanna looks forward to helping new students achieve their goals. Her teaching style is positive, supportive, patient and constructive, focused on the individual student's needs, and enjoyable. She will work at your pace and cares about each of her students. Susanna works with students from ages 7 through adults and believes you are never to old to learn. I recommend weekly lessons for all students to ensure good progress. I can provide information on purchasing or renting an instrument, if needed. You can check my availability on my schedule and sign up for lessons with TakeLessons.com. Please message me with any questions or about available times for lessons. I will respond quickly. Thank you for your interest and consideration. Very patient with someone who can't seem to play one string at a time! Seems like someone you would like to know in person some day. Very patient and understanding- doesn't get mad no matter how bad I am! Great sense of humor which comes in handy. I just hope she doesn't give up on me! Students can expect a passionate, caring teacher who will work to help them achieve their violin goals. My goal is introduce students to the joy that a violin can bring and inspire a lifetime love. Experienced violinist of 16 years with a background in a diverse variety of musical genres. I specialize in teaching beginning violin and helping individuals discover their voice and unique style. I strongly believe in giving each student a learning experience that's individual to them and their needs as a beginning violinist! Hello! My name is Ky, I am an experienced classical violinist recently settled in Pittsburgh. I am passionate about providing a unique learning experience based on the needs and goals of the student. We all approach learning new things differently, and that's okay! I provide a comprehensive introduction to the violin, including base music theory and the tools we require to learn how to read sheet music and recognize notes. I am more than happy to help parents/students find an appropriate instrument to learn on as well as any additional equipment the student may need. I am a professional violinist with almost 10 years of teaching experience. We will learn music theory, healthy posture, beginner-through-advanced violin technique, classical music and songs of your choice. I approach lessons with excitement, positivity, and creativity, and my students enjoy playing while growing in skill and confidence! I am a professional violinist and teacher with 20 years of playing, and almost 10 years of teaching experience. This July, I received my Master's degree in violin performance from the Royal College of Music, the #1 performing arts conservatory in Europe and the UK. I teach violin because it is my passion, because I love music, and because of the joy, confidence, and positive motivation my students experience over the course of their lessons. Every student is unique, and my approach tailors to the needs, questions, and interests of my students. Together, we develop strong technique, healthy posture and hand positions, a great understanding of music theory, quick note-reading and sight-reading skills, and a variety of tools to play beautifully and expressively. n orchestras, chamber groups, and as a soloist, across many U.S. states and abroad. I was assistant concertmaster of the Young Musicians Symphony Orchestra in London, won state and national competitions in chamber music, and performed for live broadcast on Chicago's classical radio 98.7 WFMT as well as National Public Radio's program, "From the Top." Aviva is amazing and very patient. My son started violin with her and he is making good progress. Thank you Aviva!! I am an adult student that is new to the violin but I do play a number of other instruments. Aviva is an exceptional instructor. So patient and so proficient. Aviava seems to have an innnate ability to know just when to be "picky" and when to perhaps "let a few mistakes" slide. The result . . . I am making consistent progress and know exactly where to focus my time and attention. Aviva is a gentle but effective motivator and, as such, I alway look so forward to my weekly lesson - and I am definately inclined to work hard so as to try to "please" my teacher. I have become all but obsessed with all things violin, and much of that is directly attributable to this delightful and talented maestro! Please do not hesitate to work with her. I can absolutely promise you that you will be glad you did. Elaina Franklin began her own journey as a Suzuki method trained violinist when she was a young child. Fast forward 17 years, and Elaina has completed a Suzuki Violin Unit 1 teacher training course, graduated with an Associates of Arts in Music, and is finishing up her last year of college to receive a bachelor’s degree in Music and Sound Design. The Suzuki method is especially tailored to suit young children, so even preschoolers are welcome to take lessons. Older students who take lessons from Elaina can benefit from using a mixture of Suzuki and non-Suzuki curriculums in order to develop strong skills in sight reading, tone production, memorization, and more. Aside from the violin, Elaina enjoys spending time composing music, in the outdoors, and helping herself and others to become the best versions of themselves that they can be. Can't find a teacher in Bethel Park, PA? "I have improved my playing quickly with the tips Susanna gives me. She is patient and very good at explaining techniques!" Pittsburgh, PA teacher: Susanna S.
iticism as I take it to heart but Lisa was kind, knowledgeable, and personable. I couldn't recommend a better teacher for the violin. I've wanted to play all of my life and I look forward to learning more with Lisa." Pittsburgh, PA teacher: Lisa C. L.
t she made me feel as though I could accomplish anything and even gave me amazing cleaning tips, store tips, bowing help, and home exercises to practice on my own and did not make me feel pressured to but more lessons at all it was all in her character. She is a very divine teacher and I am definitely coming back." "One lesson with Susanna and I'm sold! So excited for our future sessions together." 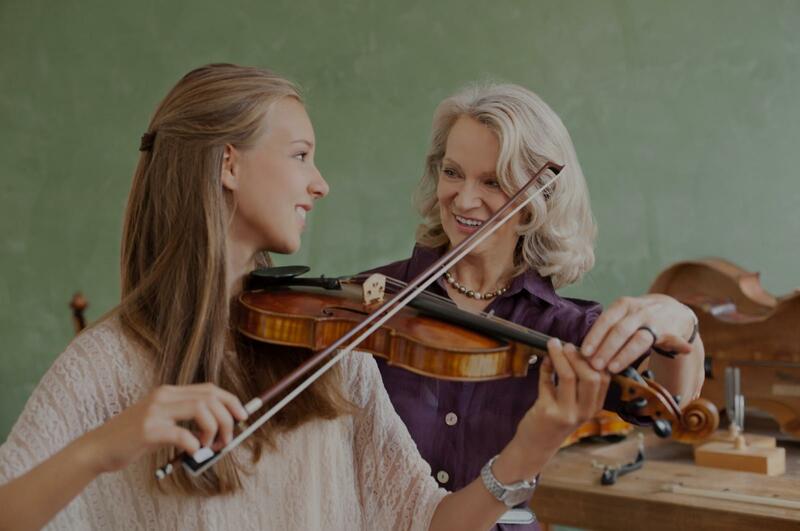 "My daughter takes violin lessons from Lisa , She has learned a lot in a short amount of time. Lisa is very good with teaching because she has patience . I would recommend her for lessons." "My daughter loves her and felt very comfortable with her for her first lessons. Very Attentive and very patient and kind! 👍"
"Susanna is a great teacher. nt interesting and fun ways of explaining concepts, which make lessons flow easily. By the time the lesson ends, I can hardly notice that an hour has passed by. It is a joy to have her as a teacher. I have had a few questions off schedule, and she has never failed to answer them promptly. I look forward to every lesson I have with her to keep learning to play this beautiful and amazing instrument."